“In 1900 cars were still pretty much a hobby for the venturesome. 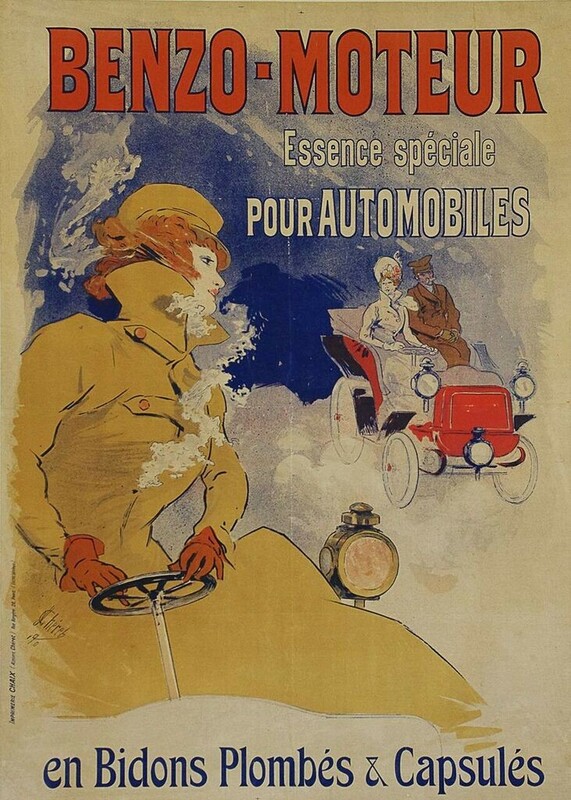 That meant mostly men, but Cheret shows one daring young woman at the wheel in the foreground and another in the smaller background image. The poster is for one of the first European brands of gasoline, sold at the time in canisters at general and hardware stores” (Gold, 17).